P!nk gave her fans a glimpse of what happens behind-the-scenes in her life in the intimate video for 'Whatever You Want'. The song is her latest single off her critically-acclaimed album, 'Beautiful Trauma'. The album's lead single is currently at number one on the Chamberlains Top 20. P!nk's husband Carey Hart and their two children make an appearance in her new video. The video was released in "Women's Month", and shows how the Grammy Award winner juggles her busy career with her personal life. A few days before International Women's Day (which is celebrated today), RCA Records released a playlist curated by its female artists, including P!nk. 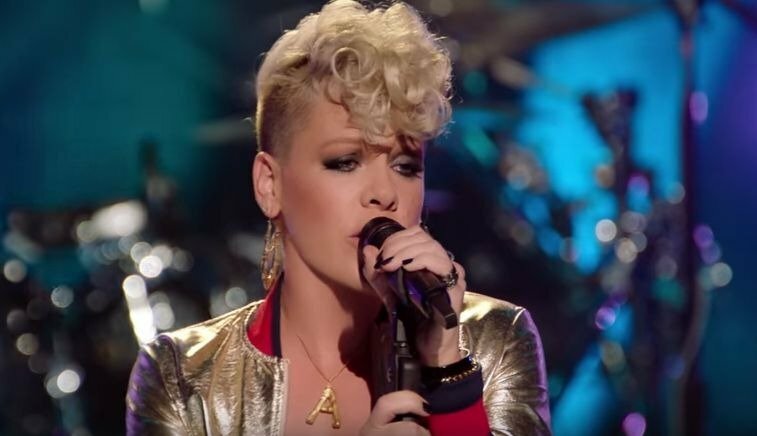 P!nk's Women's Month-inspired playlist includes The Cranberries' 'Zombie' and Pat Benatar's 'Love is a Battlefield'. Watch her new music video below. P!nk's fans can't stop raving about the video on social media. A great mom, making it work! @pink does it all. Kriya Gangiah takes you through the Chamberlains Top 20 every Saturday from 10 am -12 pm. Tune in to find out who's on top of the chart!